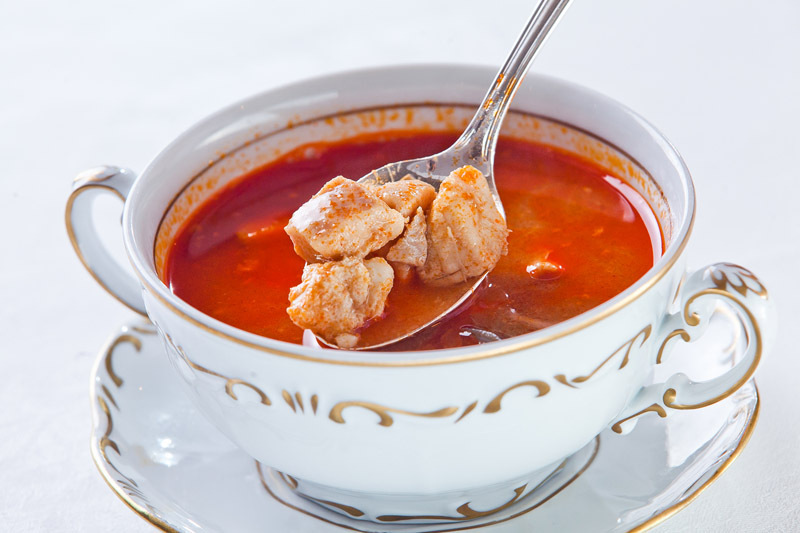 What about a rooster testicle stew, toast with marrow, or fish milt and eggs with your fish soup? Are you brave enough to taste them? If you look for something traditionally Hungarian, run through this list, not all the dishes are that extreme, I promise. It is a popular Christmas dish but also year-round, served with slices of fresh white bread and add as much hot paprika as you can take. For the daring ones I suggest to ask for fish milt and eggs to add to the soup. Usually it is served either in a cup (small portion as a starter) or in a bowl or a cauldron (big portion as a main course). The grandma of a friend of mine revealed to me once confidentially that fishermen at the Tisza River always added some mashed potato to the soup to get it thicker. This ingredient was a well-kept secret. The soup on all of the tourist menus, made of beef and vegetables. 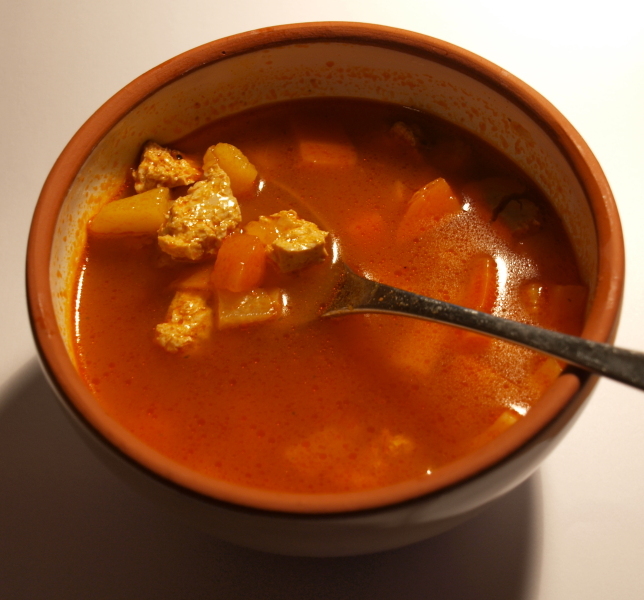 Originally it was cooked by herdsman (gulyás) in the open air in a cauldron, a big pot over a fire. The most common version is made of sour cherries. This sourish chilled soup is ideal in the warmer months. Some love it, some find it disgusting. If you are experimenting type, give it a go. You may find it a bit weird that a crêpe is filled with minced meat and served with a paprika – sour crème sauce. This is one of my favourites and it’s quite common in all types of restaurants and eateries. This dish is made of chicken, beef, veal, pork, catfish or offal, like gizzard, is served in many restaurants. 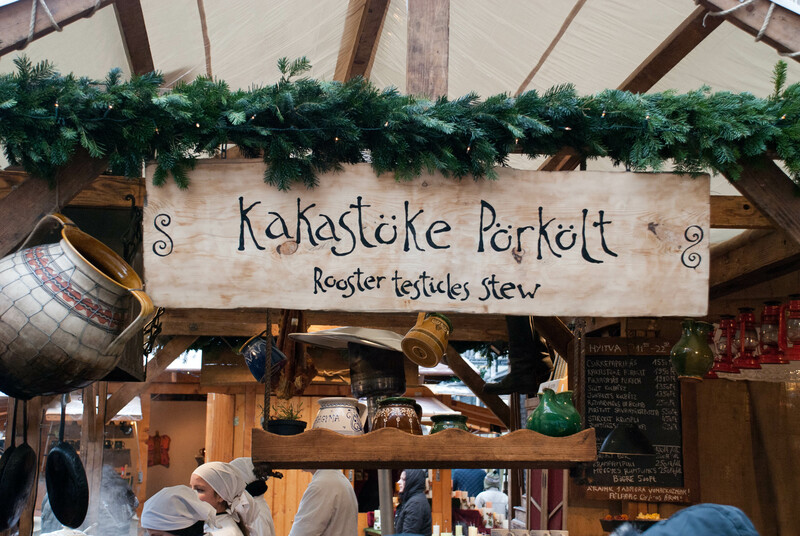 If you’re looking for something extraordinary, look for an eatery where they have rooster testicle stew = kakashere pörkölt (kɒkɒʃhɛɾɛpøɾkølt) on the menu. As a side dish choose nokedli (its synonim is galuska) which are small cooked dumplings. This is cabbage leaves filled with a mixture of minced meat and rice, and are cooked. We also add sour cream to the top. It’s quite heavy dish and mainly eaten in colder seasons. 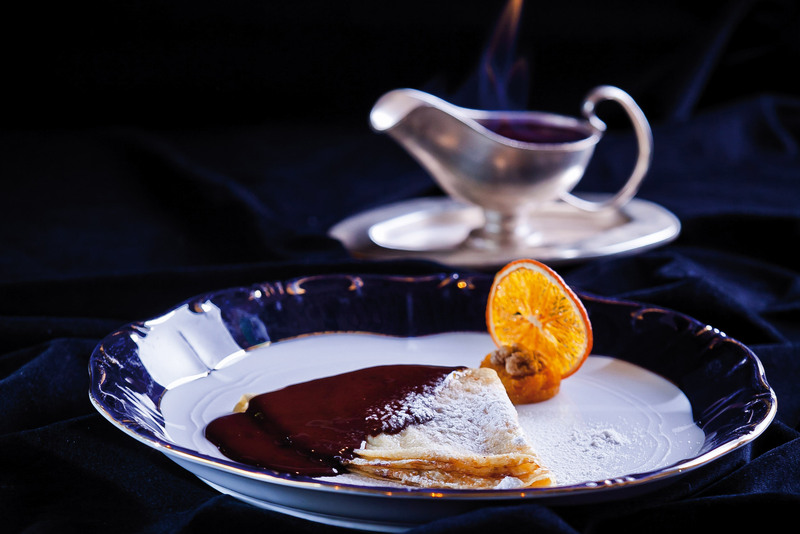 It’s a crepe with filling made from walnut, raisins, rum and lemon zest drizzled with chocolate sauce. At some posh places it is served flambéed. The most authentic place to taste it is in the famous Restaurant Gundel close to Heroes Square. For my taste it’s a bit too sweet there but worth a try. Any dessert with poppy seed may be authentic to Hungary. Try plain poppy seed or poppy seed with sour cherry strudel. The strudel is a frequent dessert of Hungary, Austria and Serbia. Presumably it has a Turkish origin (baklava). The dough is stretched by hand very thinly and then most commonly it’s filled with poppy seed, cottage cheese, apple, plum, apricot, nuts, etc. The number of variations is endless. It’s a simple dish (main ingredients: rolls, milk, sugar or honey, ground poppy seed, lemon zest) usually served in smaller and not too fancy home style restaurants. Originaly it’s a dish served at Christmas. Poppy was supposed to bring luck and wealth in the New Year. Nowadays we prepare this inexpensive and filling dessert throughout the year. 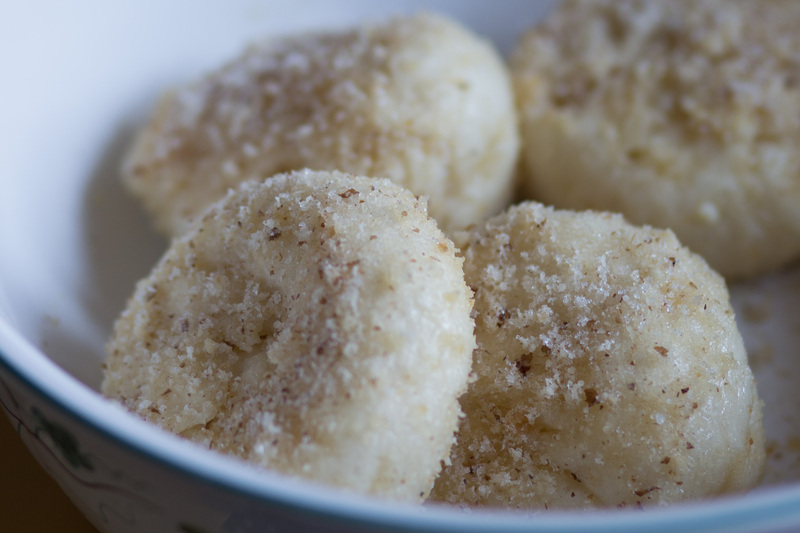 These cottage cheese balls are favourite of all. We consider it to be very Hungarian but the origin is not clear. It is common in the surrounding countries as well, but in each region it’s prepared a bit differently. In Hungary usually it’s served with bread crumbs, sour cream and sugar or honey. Some prefer it with fruit or berry sauce. It is said that the texture should wobble. This is definitely not a sophisticated dessert but a very common one flavoured with rum. 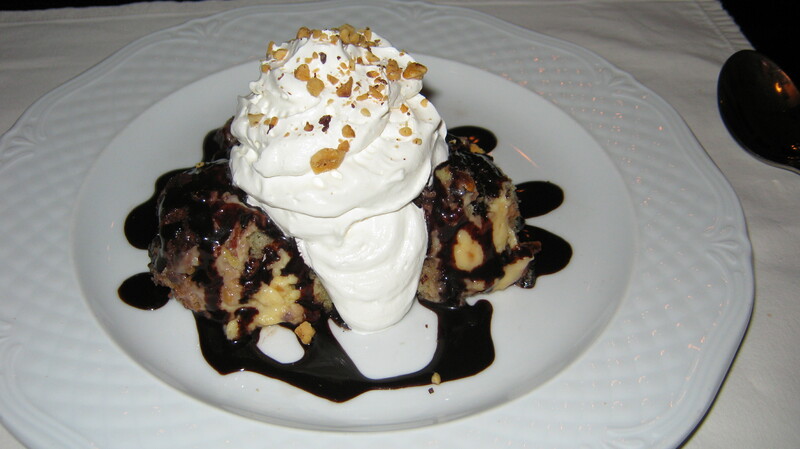 Three types of sponge cakes (basic, with walnut and with cacao) are sprinkled with vanilla and chocolate sauce and then whipped cream is added to the top. This is just a short list where I included mainly my favourite dishes. 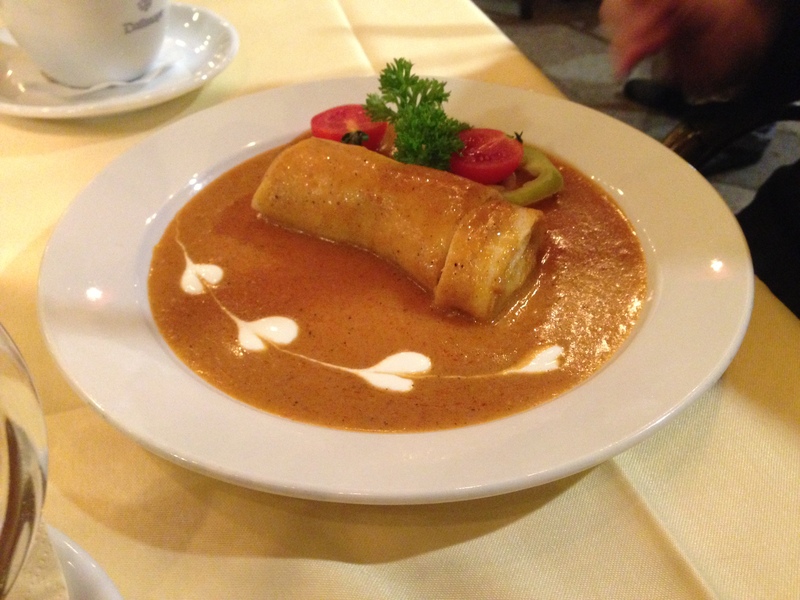 The Hungarian cuisine is rich and diverse and includes many other courses. Bon apétit. Let us know if you liked them. Virág, a native of Budapest, and János, who’s been living in the city since 1997 are real fans of the capital of Hungary and try to awake the enthusiasm of others. They are dedicated to helping tourists to make most out of their stay. A great article Virag. I just wish I was there to try these dishes. Dinah, I hope Win and you will return one day. It was so nice to have you in Budapest two years ago. Very handy guide to goodies. And I’d be up to braving the testicles! Let me know when you come to Budapest next time. I would be glad to join you for the dinner.